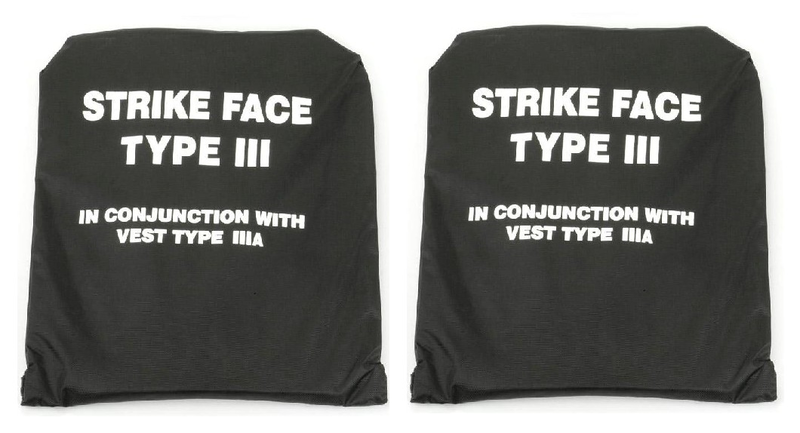 Dyneema 2 plates Level III- Vest level III-A is a panel that is an add-on component/insert to a ballistic vest. Its primary purpose is to absorb and disrupt the kinetic energy of a bullet impact and reduce the blunt trauma transferred to the wearer of the vest. Plate is made out of Dyneema. Includes a fabric water proof cover made out of Kordura by DuPont. Bulletproof vests are designed to ‘trap’ and slow bullets down as they attempt to pass through the vest. Bullet Proof Vests come in two different types; hard and soft. The ‘soft’ armors are designed to protect against most handgun and small arms ammunition, whereas ‘hard’ armors are designed to stop high caliber and armor piercing rounds.